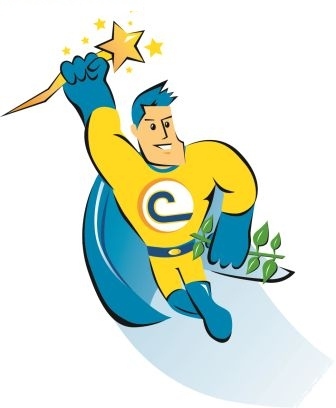 The Geauga SWCD invites all residents to be a Conservation Crusader! Being a conservation crusader means promoting the wise use of our natural resources so they will be available for future generations. A natural resource is defined as a material source, such as forests, soil, water, or a mineral deposit, that occurs in a natural state and has economic value. The District strives to conserve, protect, and enhance the natural resources of Geauga County by providing leadership, education, and assistance to all. The Conservation Crusader campaign is a collaboration of the Western Reserve Resource Conservation & Development (RC&D) Council, WKYC TV/Cleveland and the Soil and Water Conservation Districts of Northeast Ohio to encourage residents to practice healthy household and backyard habits which improve water quality and reduce storm water pollution. Environmental stories and information are shared through twice a month segments on the Live on Lakeside television program, monthly videos featuring weather personalities, and a rotating banner ad on the Cleveland Yahoo weather webpage. Click on a topic of interest below to explore the latests Conservation Crusader happenings in Northeast Ohio. The Conservation Crusader was created in collaboration with the Natural Resources Conservation Service, the National Association of Conservation Districts, and the Ohio Federation of Soil and Water Conservation Districts. Funding for 2012 programming was provided in part by grants from the James P. Storer and Kent H. Smith Foundations. Funding for 2013 programming is provided by the Ohio Environmental Protection Agency's Ohio Environmental Education Fund (OEEF).